Established in 1966, La Casa de Esperanza is a community-based organization committed to providing opportunities for those within our community to achieve full social and economic participation in society, with an emphasis on the Hispanic population. La Casa helps more than 20,000 individuals and families annually through a variety of programs and services to create positive change in the community. La Casa continues to transform every individual and family it touches, fostering hope and providing opportunities for a prosperous, engaged and connected community. La Casa de Esperanza, Inc., was organized by a group of concerned citizens. Originally known as History Builders, Inc., the agency purchased a house on Ryan Street and from there operated their first major project – a day care program. In 1979 La Casa relocated and expanded physical operations twice. 410 Arcadian Avenue was renovated to accommodate administrative and a multipurpose classroom followed by the purchase of a second building adjacent to the administrative building to house La Casa’s Community Center. 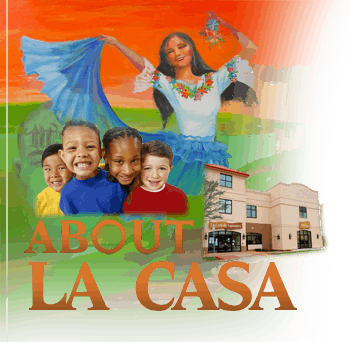 In 1999 La Casa began a capital campaign with a goal to raise $2.3 million to finance the construction of La Casa’s new community and child development center. The new center was opened in May 2001 and has allowed La Casa to expand its programs and pursue its goals more assertively than ever. Currently, La Casa regards its ongoing ability to establish effective, efficient and powerful partnerships with other community collaborators as a major accomplishment. Program partners include Waukesha Memorial Hospital, WCTC, UW-Waukesha, the Waukesha Police Department, Waukesha Corrections, Waukesha Housing Authorities, and many local schools, churches, businesses and foundations.